Three. Another DIY project to add to my (never ending) list! 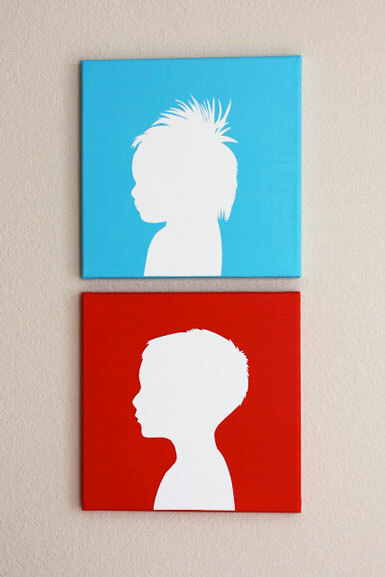 Came across this canvas silhouette project on Pinterest, created by Christina Williams. Go here for details. 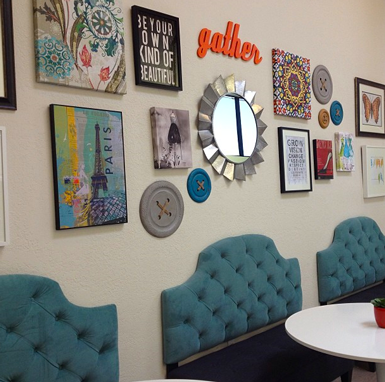 Great job with the Art wall you designed, it's so fun and inspiring! Looking forward to seeing the complete design. If we all could be so lucky to have a lounge like this at work! Love visiting your blog! Wowww I love the look of the benches in the lounge...are those upholstered headboards?! Brilliant. Yep, you guessed right! We ordered the upholstered headboards online from Target and attached them to the benches which came from Overstock. It was a budget project so I had to get creative! Beautiful art wall! And those eggs are absolutely gorgeous- who would have thought it would be so simple! 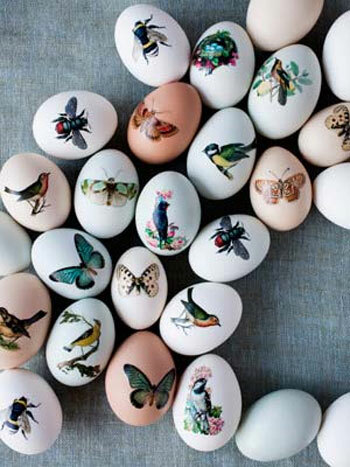 i love those eggs and the idea of using temp tatoos seems so easy peasy! I'm going to try that! also, i have seen that little nook before with the great high back chair....LOVE it and also love the red door to the right!!! I LOVE the employee lounge! Must be a great company to give so much attention to the people who work there. Looking forward to seeing what else you're doing! Wow! Thanks for sharing these...So much inspiration!